PROTEUS Indeed, a sheep doth very often stray, An if the shepherd be a while away. SPEED You conclude that my master is a shepherd, then, and I a sheep? Yeah, but Proteus is an idiot. For the entirety of the play, I could not shake the image of the characters as the characters from Made in Chelsea...so I would say that this was the most insipid play of Will's I have read or seen so far. Thankfully, this was an early one. It was interesting to see some of the early characters and themes, tho: there is a bit of Romeo and Juliet in this one, and a bit Midsummer Nights Dream, and a bit of something else but neither the characters nor the plot are really fleshed out. I mean, I did like how the last lines of this play are almost an inversion of the first lines of Romeo and Juliet, so I guess it is not too far-fetched to wonder if Shakespeare recycled parts of this one in his later plays. Reading progress update: I've read 125 out of 316 pages. "The evidence of the fragments, therefore, goes problematically to prove that the murdered man was an educated foreigner, stabbed to death by one or more educated foreigners. Now, what evidence can be offered which can support this theory? In the first place, the complaints of the French Government to England, and the results of those complaints, very evidently show that London is the resting-place of many determined foreigners. In fact, it is a matter beyond all question, that London has at all times been that sanctuary for refugees from which they could not be torn. Hence London has always been the centre of foreign exiled disaffection. Then if it can be shown that foreign exiled disaffection is given to assassination, it stands good that we have here in London foreigners who are ready to assassinate. Experience shows that this tendency to assassinate on the part of foreign malcontents is a common understanding amongst them. There is no need to refer to the attempts upon the life of the Emperor of the French, upon the life of the father of the late King of Naples—there is no need to point out that in the former cases the would-be assassins have lived in London, and have generally set out from London. All required is, to talk of tyranny with the next twenty foreigners you may meet, good, bad, and indifferent. It will be found that the ordinary theory in reference to a tyrant is, not that he shall be overthrown by the will of the people, but by the act of assassination." I have no idea who created this, I found it on FB. Kudos to the creator, whoever they are, they totally make me want to read these books...even if they don't exist. They probably should exist, tho. I've been dithering about doing this for a while, a couple of years actually. 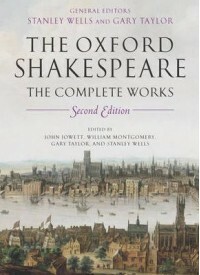 So much so that I've borrowed a copy of the Complete Works from a friend...and this has been sitting on my shelf for almost two years with very little attention being paid to it, apart from reading two or three plays I hadn't read before and using the book for reference otherwise. Reading progress update: I've read 3 out of 316 pages. 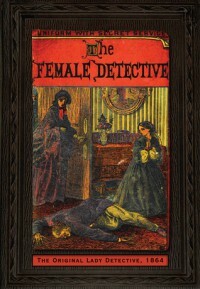 I am aware that the female detective may be regarded with even more aversion than her brother in profession. But still it cannot be disproved that if there is a demand for men detectives there must also be one for female detective police spies. Criminals are both masculine and feminine—indeed, my experience tells me that when a woman becomes a criminal she is far worse than the average of her male companions, and therefore it follows that the necessary detectives should be of both sexes. And, yet, the writing doesn't read as stilted as I might have expected, either. I think I'm really going to like this. I originally came across The 39 Steps when it was listed in the BBC's The Big Read in 2003 as one of Britain's favourite books. 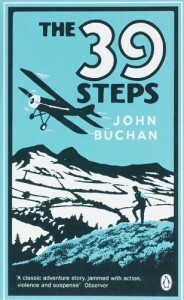 Buchan's book came in 138th place. Having now read the book, I'd like to know how this book even made the list. Just HOW??? 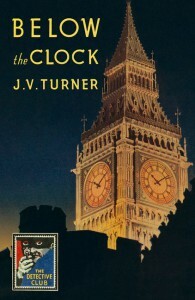 Sure this book (published in 1915) was one of the pre-Bond early spy thrillers, sure the story was turned into a Hitchcock classic, but the only reason I can see that the book has made the list is that people who nominated it might have remembered the film better than the book itself. 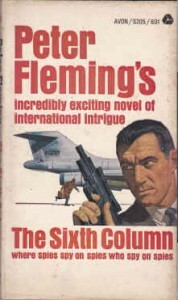 The book was seriously one of the silliest, nonsensical farces of a spy thriller I have ever come across - and I am saying this as someone who likes a spy thriller that doesn't take itself too serious. Anyway, I am not going to write a full rant review of all of the issues I had with the book, but instead am just going to list my previous reading vents updates. Reading progress update: I've read 20%. Reading progress update: I've read 54%. Reading progress update: I've read 65%. THE House of Commons has its moments. Ascot bends a fashionable knee to hail Gold Cup Day with an elegant genuflection, Henley hesitates between pride and sophistication to welcome the Regatta, Epsom bustles with democratic fervour as Derby day approaches, Cowes bows with dignified grace as curving yachts carve another niche in her temple of fame, Aintree wakens and waves to saints and sinners on Grand National day, and Wimbledon wallows for a week in a racket of rackets. What a fabulous mystery to read when life calls for some lighthearted, yet clever, diversion. The mystery itself tells of the Chancellor of the Exchequer collapsing dead in the House of Commons just when he is about to announce the new budget. I'm not sure what I loved more, the atmosphere of the story, the lighthearted (yet far from silly) tone of the writing, or the fact that literally every MP is a suspect in the first few chapters. Thanks to Tigus for the recommendation. This is still pretty fab so far. We have a death happening in plain sight - at the despatch box in the House of Commons - which makes for a brilliant setting with lots of atmosphere. We have a method that is credible but also with no possibility of being used. Or if it was used, then everyone present in the entire House is a potential suspect. What a fab opening paragraph. I've just returned from a week away with work and am very much looking forward to spending time just relaxing with a fun mystery. I hope this is that fun mystery. Oh, and yeah, I totally bought the book because of the cover...that and Tigus seemed to like it. I can only assume that this book may have inspired Agatha Christie's spy thrillers. It certainly would explain the unexplainable - that is, The Big Four and Passenger to Frankfurt. It was a wonderful starry night, and I had not much difficulty about the road. Sir Harry's map had given me the lie of the land, and all I had to do was to steer a point or two west of south-west to come to the stream where I had met the roadman. In all these travels I never knew the names of the places, but I believe this stream was no less than the upper waters of the river Tweed. I calculated I must be about eighteen miles distant, and that meant I could not get there before morning. So I must lie up a day somewhere, for I was too outrageous a figure to be seen in the sunlight. I had neither coat, waistcoat, collar, nor hat, my trousers were badly torn, and my face and hands were black with the explosion. I daresay I had other beauties, for my eyes felt as if they were furiously bloodshot. Altogether I was no spectacle for God-fearing citizens to see on a highroad. So, our "hero" is shocked and bruised and disorientated from the explosion, and yet, he manages to find his bearings navigating by the stars. Ok. Fair enough. I have once done so myself in the early hours after a football event in Munich. Sure, I'll buy it. But how, just HOW?? ?, does he manage to read a map and scramble across the moors in the pitch dark with only the light of the stars? I am not kidding. He's miles from nowhere in the Scottish countryside. It's 1914, so little chance of bright lights from nearby villages or anywhere. He also mentions that the moon was in the last quarter, so not very bright. How on earth does he see where he is going...for 18 miles! Without getting stuck in the peat bogs or breaking his ankles? I stalked over the border of coarse hill gravel and entered the open veranda door. Within was a pleasant room, glass on one side, and on the other a mass of books. More books showed in an inner room. On the floor, instead of tables, stood cases such as you see in a museum, filled with coins and queer stone implements. There was a knee-hole desk in the middle, and seated at it, with some papers and open volumes before him, was the benevolent old gentleman. His face was round and shiny, like Mr Pickwick's, big glasses were stuck on the end of his nose, and the top of his head was as bright and bare as a glass bottle. He never moved when I entered, but raised his placid eyebrows and waited on me to speak. I mean, even casual anti-Semitism and idiotic plots aside, there are lots of things wrong with this story, but wtf are "placid eyebrows"? 'I am,' said I, without the foggiest notion of what he meant. And of course, because all Colonials are the same, no one will ever notice that he's about to pass himself off as an expert on Australia even tho his background is South African. This story is really stupid. Oh, gawds, ... how is this a revered classic? None of this makes a lot of sense so far unless the MC suffers from some serious paranoia. ... the next time I have a spare couple of hours in Edinburgh, I'll try and find this one at the National Library. With a subtitle of "where spies spy on spies who spy on spies" this should be as hilariously bad as one of Fleming's brother's novels. And how could I possibly resist having a chuckle at a TSTL spy adventure? Reading progress update: I've read 97 out of 450 pages. A very early start on only little sleep and I am absolutely knackered. At least, I finally made a dent in this book on the plane to work today. 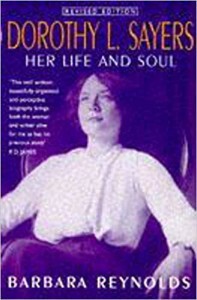 It's actually a very decent biography.